March 31: Happy Birthday, Les Damon! Working actor Les Damon is best known for his work on The Thin Man, The Right To Happiness, and especially as detective Mike Waring on The Falcon. Damon had a successful career on daytime TV soap operas and character roles on the small screen in the fifties and early sixties. He would have been 107 on March 31, 2015. The Golden Age of Hollywood was built on the studio Star system, but relatively few serious actors got into the business hoping for the glamor that comes with the Hollywood lifestyle. Most actors got into the business out of a love of performing (“the smell of the greasepaint, the roar of the crowd”). Many actors spent their days in stock companies, performing in a different city every few days, and lending a hand in every task to put on a show, from setting the scenery to selling tickets to comic character roles to romantic leads. They may have juggled a day job while hustling from audition to audition, always hoping for their big break. Or any break, for that matter. Part of the magic of radio was that in addition to bringing the world closer together, it was a way for countless actors to make a living. Some were part of the Hollywood Star system, trying to put a few extra dollars in the kitty until they got that big starring role. For many, appearing on the radio was a job, just like going to the office or the aircraft plant. Les Damon was born in Providence, Rhode Island in 1908. He got his acting start with the Albee Stock Company in Providence, and traveled to England to apprentice with the Old Vic Company. Returning to America, Damon began to pick up lead roles in a number of radio dramas in the late 1930s and 40s. Versatility was a watchword for a successful radio actor, and Les Damon had it in spades. 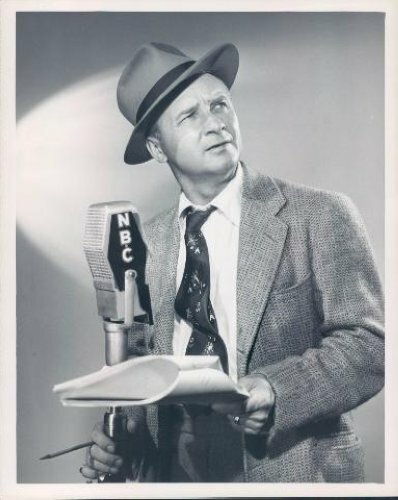 He was radio’s original Nick Jones in The Adventures of the Thin Man, and he appeared regularly on Words At War. 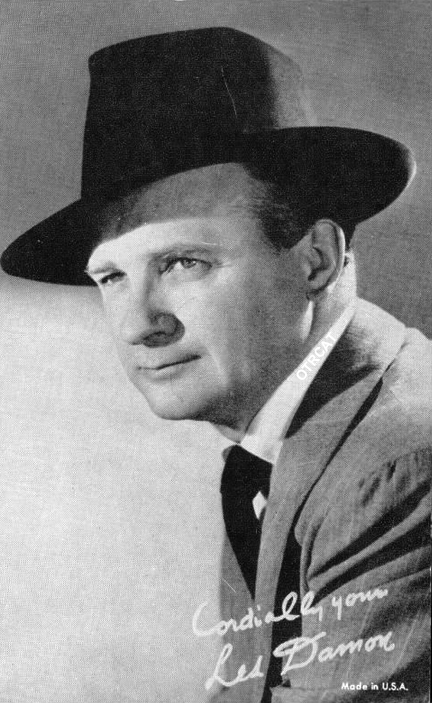 He was also a regular player for the Hummert Radio Factory, with recurring roles in everything from The Adventures of Helen Trent to Houseboat Hanna to The Right To Happiness. An actor’s soul is often a romantic one. In 1943, Damon married radio actress Ginger Jones, whom he had met in various broadcast studios. When Ginger went to work on the serial Brave Tomorrow, she wore a beautiful ring set with an African turquoise and diamonds. Hidden is a secret compartment in the ring were two grains of rice which Damon had found in the cuff of his trousers after their wedding. Damon answered his country’s call, and he flew “over the hump” in the China-Burma Theater of WWII, delivering supplies to Chiang Kai Shek’s Army. He was awarded the Bronze Star for his service. After the War, Damon took up where he left off, reclaiming his role on The Thin Man, as well as several appearances on The Cavalcade of America and Gang Busters. In 1950, he began his most famous radio role as The Falcon. Damon was not the first to play the suave detective on the radio, but he did move the role from chasing crooks to the slippery world of espionage. Through the fifties and early sixties, Damon began getting work in television with recurring but not major roles on The Guiding Light and As The World Turns. He also appeared on The Jackie Gleason Show, The Honeymooners and Have Gun, Will Travel. Les Damon checked into the UCLA Medical Center complaining of chest pains. He passed away on July 21, 1962 at the age of 53. Damon was survived by his wife Ginger Jones and their daughter Lisa. This entry was posted in Cavalcade of America and tagged Cavalcade of America, Gang Busters, Gangbusters, Hummert Radio, Les Damon, The Falcon, The Thin Man. Bookmark the permalink.